If you want to sit back and relax in a theater reminiscent of home, 7-Plex is the place to see the movie of your choice. Excellent customer service with high quality sound systems and screens, provide a professional taste that makes the price gap well worth it. Americans are used to paying anywhere from 5 to 8 dollars for a new release, where Japanese are accustomed to a whopping ¥1,100 to ¥1,800. When you consider the time and effort of the translators, the cost of the land on which the theater was built, and the difference of the cost of living in general, the price difference cannot be helped. 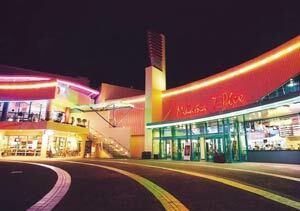 In recent years, Japanese theaters have fortunately started special discounted days to lower their cost for the average moviegoer. At 7-Plex, they have a special discounted fare of ¥1,100 for almost every day of the week. Monday's discounted tickets are only for men. Tuesday and Thursday's discounted tickets are for the first and late shows of the day. Wednesday's discounted tickets are for all of the ladies. Friday's discounted tickets are for the late show of the day. The 22nd of every month is "Married Couple Day," where the price is only ¥2,200 per couple. On the 1st of March, June and September, the shows only cost ¥1,000. The 1st of December's show only costs ¥800. The regular price for adults is ¥1,600. Tickets for 7-15 yrs. old are ¥1,300 and tickets for kids from 3-6 yrs. old cost only ¥600. During May, 7-Plex will be playing "Spirit: Stallion of the Cimarron," "Dreamcatcher," and "X-Men 2." Dreamcatcher, based on a Stephen King novel, is R rated for violence, gore and language. "Spirit: Stallion of the Cimarron" is G rated. 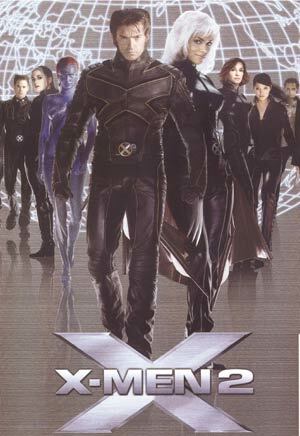 "X-Men 2" is rated PG-13 for sci-fi action, violence, some sexuality, and brief language. Please don't forget that Japanese movie theaters, just like the theaters back home, will not let you bring in outside drinks or food. Also make sure that you don't forget to turn off your cell phones before the movie starts. You may notice that Japanese people are a lot quieter in Japanese movie theaters than the average American theater. Shouting and talking to the screen and very loud laughter is not appreciated. 7-Plex does not have any bilingual staff, but they will be at your service if you need any help. Do something different for a change and check out these hot flicks in a theater that will be worth an extra couple of bucks.